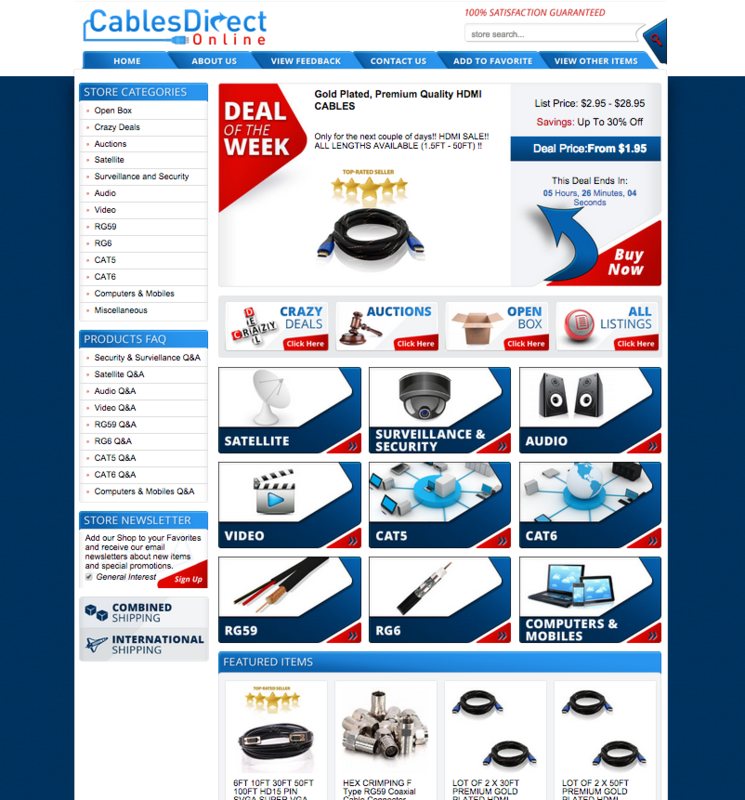 Cables Direct Online has been added to our list of happy customers. 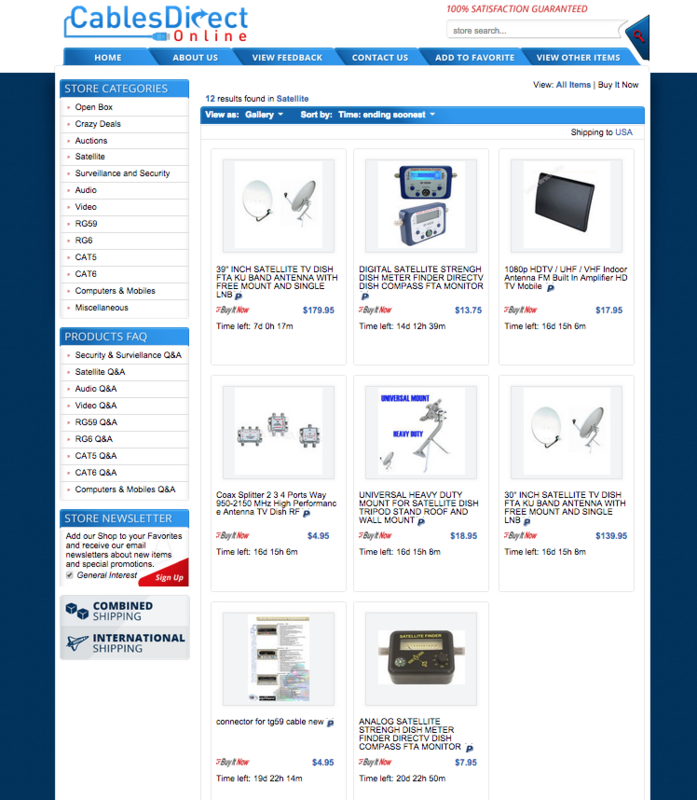 We at OCDesignsonline created a high performing eBay storefront for their electronics store and it is already performing spectacularly. The eye generally travels around webpages in a certain pattern but by creating several diagonals and curves in this design, we actually create more patterns for our client’s customers to follow. This encourages more clicks and browsing but more importantly, additional purchases. Working with diagonals isn’t easy though as it can easily make a design look too cluttered, so we paid particular attention to keeping the rest of this design simple so it doesn’t turn customers away. We also created a custom category and listing page for our client. This is something we encourage for all of our customers to add on to their custom eBay design packages because it makes an incredible difference in sales, especially when it comes to turning general eBay searchers into long term customers. At OCDesignsonline we specialize in making a design that works for eBay store designs, BigCommerce, Volusion store designs, and so many more. We don’t give you a generic design, we make something unique just for you. Contact us now for a free quote and follow us on social media below to get daily design updates.